November 5, 2008 by Karl Fogel 5 comments on "Mission Accomplished." 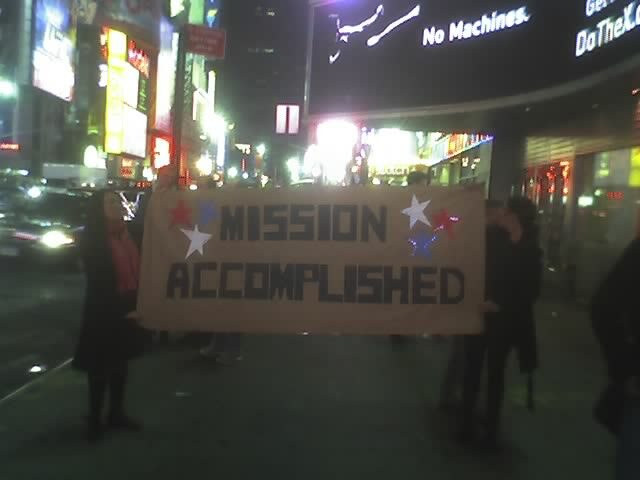 5 Comments on "Mission Accomplished." Yeah, what an awesome banner! Heh. Similar things have happened to me with recaptcha, yeah. I wonder if the same person who works at the fortune cookie factory ensuring that spookily appropriate fortunes go into the right cookies also does part-time work for recaptcha :-). Next Next post: The Briefing.